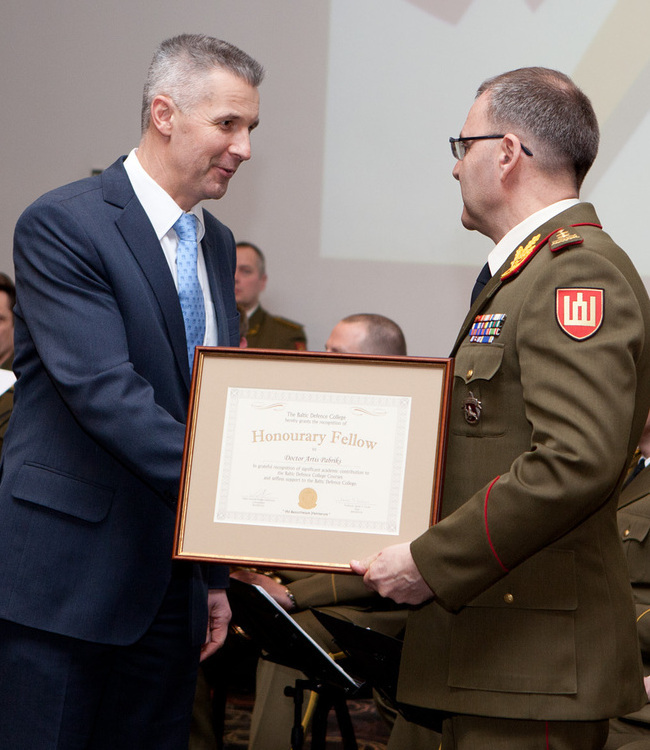 An Honorary Fellowship is a highly prestigious award bestowed annually by the Baltic Defence College to distinguished individuals who have made either an outstanding personal input to the development of the Baltic Defence College or those who have contributed significantly to the improvement of the defence and security culture of the Baltic States. Dr. Margarita Šešelgytė is a Director of Studies at the Institute of International Relations and Political Science at the University of Vilnius. 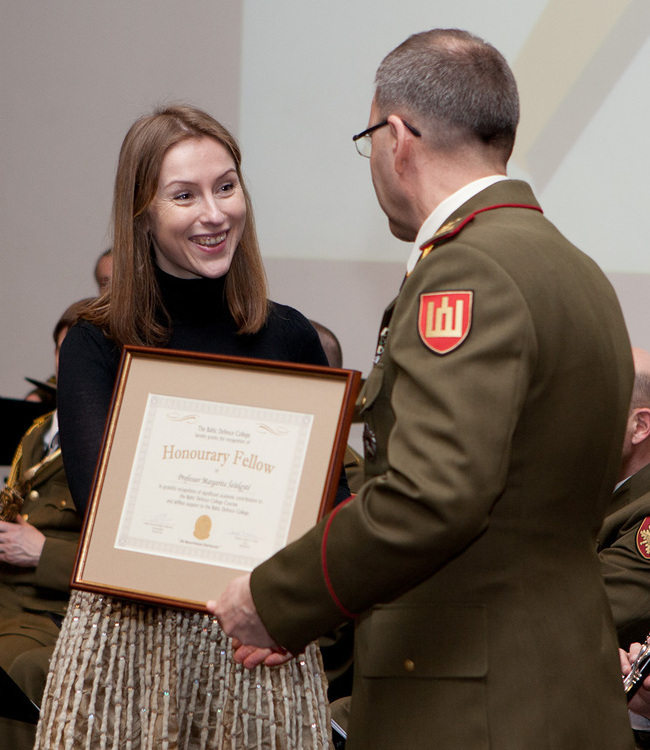 Previously, she was a member of faculty both at the Baltic Defence College (2004-2007) and General Jono Žemaitis Military Academy of Lithuania (2001-2004). Dr. René Värk is Docent in International Law, both at the University of Tartu and the Estonian National Defence College. 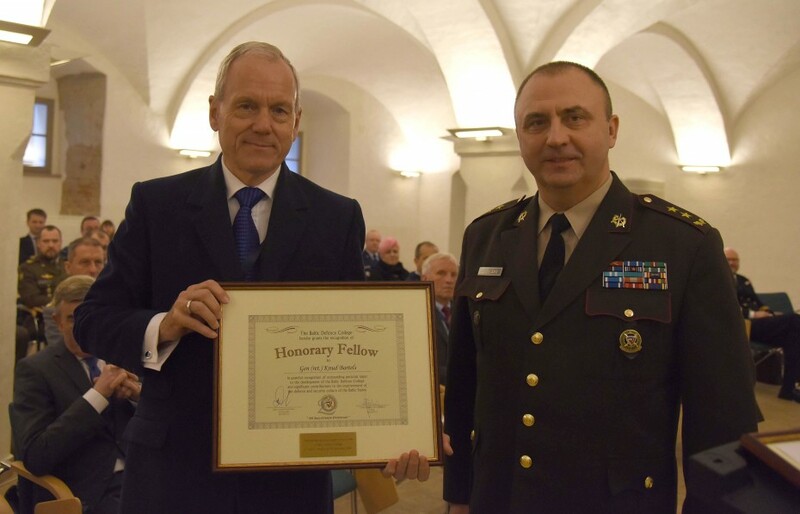 He is also a Visiting Lecturer at the Estonian Academy of Security Science and the Estonian School of Diplomacy and has acted as a guest speaker at the Baltic Defence College. Dr. Artis Pabriks MEP is a Member of the European Parliament for Latvia (since 2014) and a former Latvian Minister of Defence (2010-2014) and Minister for Foreign Affairs (2004-2007). Previously, he was the first Rector of Vidzeme University of Applied Sciences and co-authored The Baltic States: Estonia, Latvia and Lithuania in 2002. Professor Andres Kasekamp is Professor of Baltic Politics in the Johan Skytte Institute of Political Studies and a member of the Council of the Estonian Foreign Policy Institute in Tallinn. 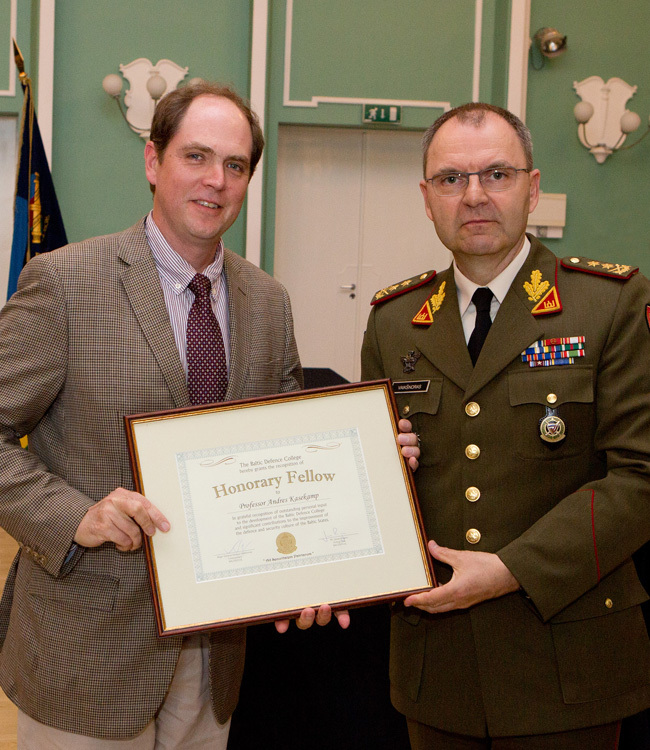 Professor Kasekamp is a member of the Editorial Board of the Journal on Baltic Security. 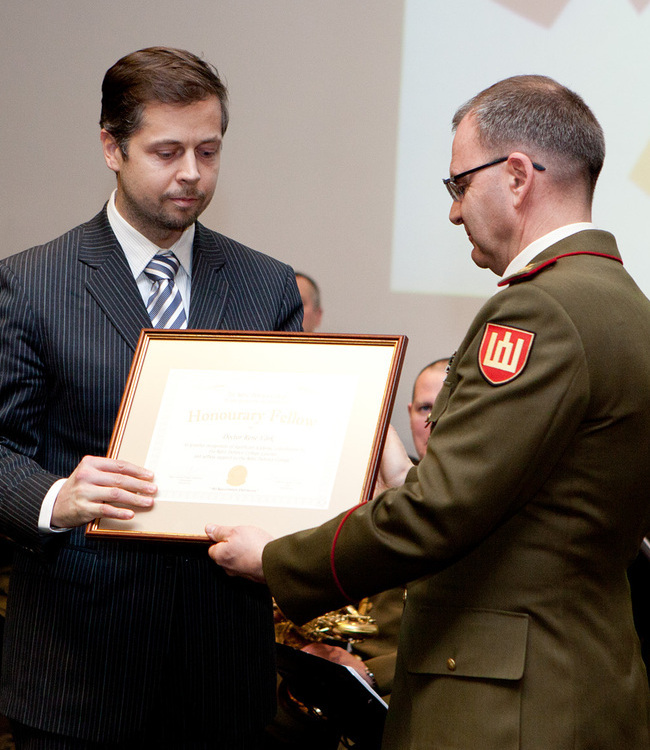 Tomas Jermalavičius worked at the Baltic Defence College (BALTDEFCOL), first as deputy director of the College’s Institute of Defence Studies in 2001-2004, and later as dean of the College in 2005-2008. Currently he is a Research Fellow and Head of Studies at the International Centre for Defence and Security (ICDS) in Tallinn. Professor Žaneta Ozoliņa is professor of the Department of Political Science in University of Latvia. She is also the Chair of Foreign Affairs Council at the Latvian Ministry of Foreign Affairs. Professor Ozolina is the member of the Editorial Boards of the Journal on Baltic Security, publication of the Baltic Defence College and editorial board of Defence Strategic Communication which is the publication of the NATO’s Strategic Communications Centre of Excellence (NATO StratCom COE) in Riga. General (ret) Knud Bartels is Adjunct Professor at the Royal Danish Defence College. Previously, he has been Chairman of NATO’s Military Committee (2012-2015), Chief of Defence of Denmark (2009-2012), Danish Military Representative to the EU and NATO (2006-2009), as well as held a number of positions in both national and international joint staffs. General (ret) Hans-Lothar Domröse was the Commander of Allied Joint Force Command Brunssum (2012-2016), the German Military Representative to MC/NATO and EU in Brussels (2011-2012), Commanding General, Eurocorps (2009-2011), and Chief of Staff, HQ ISAF (2008-2009). 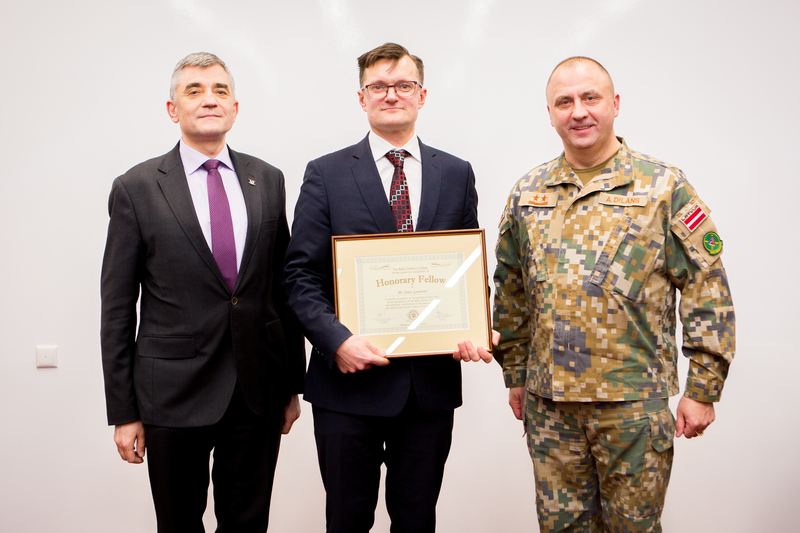 Mr Janis Garisons is the State Secretary of Ministry of Defence of Latvia. He has been closely linked with BALTDEFCOL since 2008 and has contributed to all of its courses and majority of academic conferences and seminars over the years.